This beautiful spacious family or group friendly property is finished to a high standard and is set in 2 acres of private enclosed grounds with stunning views over the Cawdor Hills. 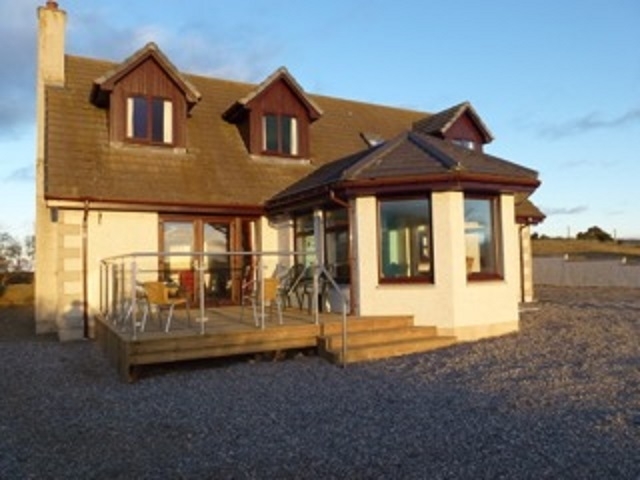 Located in the central highland only 4 miles from the beautiful historic seaside town of Nairn and 14 miles from the city of Inverness, the Highlands capital, making this a fantastic base for your holiday. There are numerous attractions within easy reach including Cawdor castle, Nairn championship golf course, sandy award winning beaches, sea, loch and river fishing, Nairn museum, RSPB Culbin sands, Brodie castle, Black isle, Moray firth wildlife cruises, Culloden, Hugh Millers museum, malt whisky trail and loch ness. Leisure facilities: 3-tee mini golf course (please bring your own clubs and golf balls). Games room: with pool table, table tennis and iPod Dock. 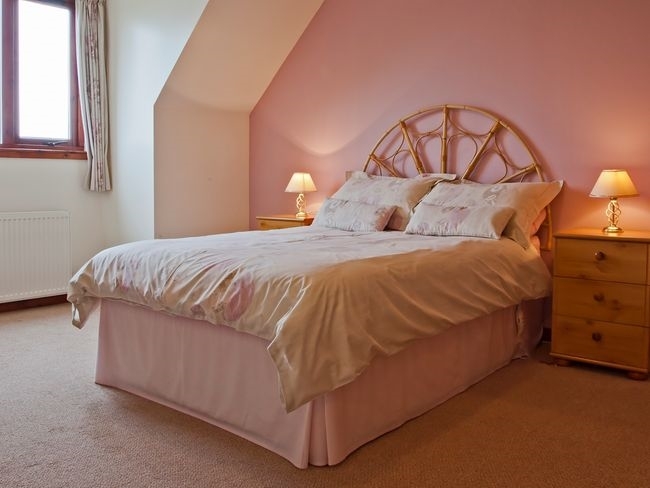 The accommodation is arranged over two floors and offers FIVE bedrooms: all with stunning views. On the ground floor 1 large double with en-suite shower room and WC, and 1 single. On the first floor 1 master double with en-suite shower room and WC, and 1 twin. 1 double zip-and-link (which can be made into a twin on request). Bathroom: on first floor with bath, separate shower and WC. Further WC on the ground floor. 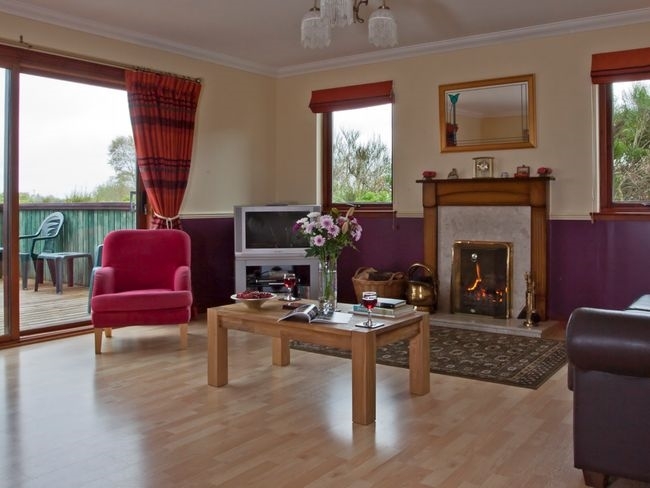 Lounge: with open fire (first basket of logs included) flatscreen TV/DVD with Freeview, ample seating and patio doors leading out to the decked area. Kitchen/diner: large well-equipped kitchen with electric double oven with hob, fridge/freezer, dishwasher, microwave and large dining table, kids’ corner with seating area, Wii games console, flatscreen TV/DVD, hi-fi, an array of books, board games and toys. Utility room: with washing machine, tumble dryer, sink and access to rear garden. Sunroom: with seating. Outside: 2 acres of beautiful grounds, decked area with seating, fenced and gated wildlife pond. Amenities: ample parking. Bed linen, towels, electric, Wi-Fi and central heating included. Regret no smoking. 2 well-behaved dogs welcome. Additional info: store away bed available upon request (suitable for children). 25% discount for groups of 4 or less, except for April/July and August bookings. Location: sandy beach, shops, pubs and restaurants 4 miles. Arrival time: 4pm.